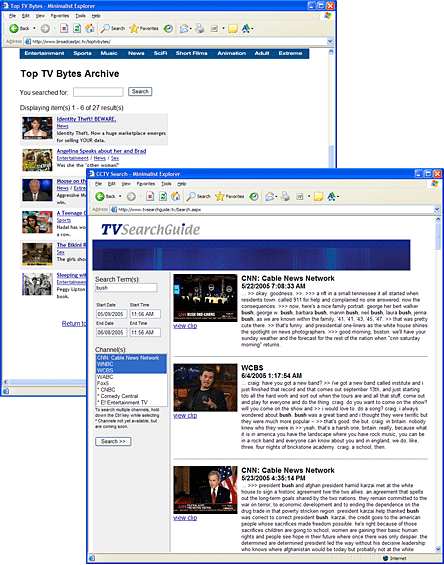 This website allows access to closed-captioned video feeds from the top TV outlets around the world. We developed and extensive search allowing users to quickly locate transcripts and video, providing a powerful tool for both research and entertainment. Users can also create keyword watch lists and be notified when a real-time match results.